The Lilly Scholars Network was formed to bring scholars together to GIVE BACK, and our 2018 Summit provides attendees an opportunity to do just that! Bring a backpack to donate and join the fun! We'll be splitting into three groups - two are traveling to organizations that are just a short distance away and one is staying at ICI for some crafting and construction. Ronald McDonald House provides families with comfort and support when they need it most! We'll be aiding with onsite projects to help the organization provide for families with sick children. Seven Steeples Farm introduced a new and somewhat unique land use to Indianapolis’ near Westside in 2014. This 3.5 acre farm sits on the once dormant Central State Hospital site. 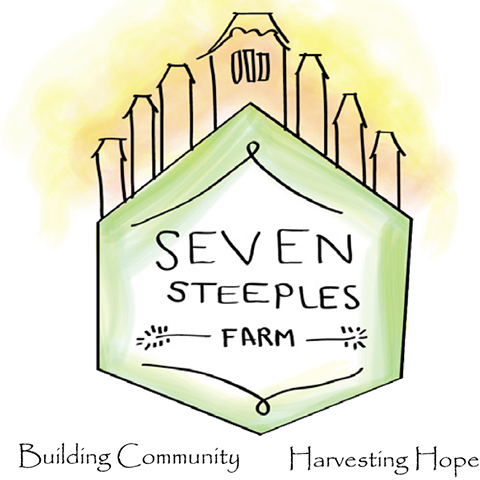 Seven Steeples serves a number of important roles in a community that is working hard to revitalize itself and provide an improved quality of life for its residents. While we won't be traveling to the farm, volunteers in this group will assemble and paint bird, bat and butterfly houses to be used for STEM education. Since 1989, the Metro Baptist Center has provided compassionate, faith-centered services to meet the physical, emotional, and spiritual needs of individuals in Indianapolis, IN. We'll be traveling to the center to fill 1200 backpacks for back to school and will also help set up for a community cookout event. Learn more about the upcoming summit and register here!